Just Julie » Blog Archive » SAGs Retreat! For almost eight years, I’ve been in a women’s group called The SAGs. If you don’t know the story of how we came to be, if you’re not aware of why we call ourselves The SAGs, if you are procrastinating about manually cleaning out your septic system to save some money and don’t have anything better to do right now, you can read about the four SAGs right here. The four SAGs meet together monthly for dinner and catching up and laughter and prayer and tears and compassion and sisterhood. We have never gone away on any kind of trip together even though we’ve talked about it many times. Well, that is about to change. 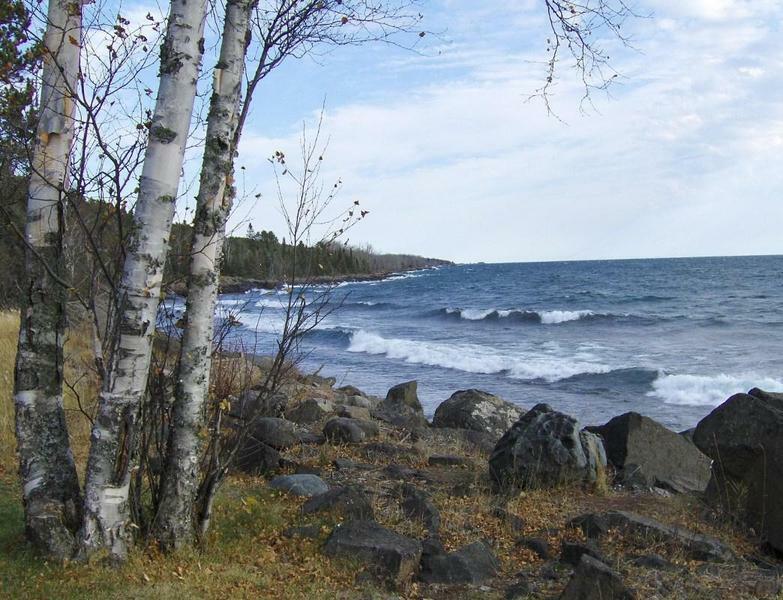 Today we’ll be heading north for a few days to a cozy two-bedroom cabin right on the edge of Lake Superior. The cabin has a nice kitchen, so we’ll be taking turns cooking dinners. There’s a fireplace too, so you might be able to imagine how in the chilly evenings we’ll pull our chairs up around the fire with our books, our conversation and our sighs. Gail is bringing a yummy breakfast casserole, coffee and popcorn. Lorna is bringing the veggies, the key lime pie, and the crab salad. Pat is bringing the chocolate peanut butter bars, the chai tea, and the fixings for her delicious spaghetti carbonara. I’m bringing homemade granola, fixings for one dinner I’m still trying to plan, the fruit and the Scrabble game. If we get settled in and realize we need something, we won’t be so far away from civilization that we can’t run out and pick something up. The place where we’ll be staying doesn’t have telephones or televisions in the cabins. (Someone should now belt out, “Hallelujah!”) So the noises we’ll hear will likely be the crackling wood fire, the call of the loons and the sound of lapping waves from the Lake, the rustle of leaves in the brilliantly colored trees around us, the quiet click of Scrabble tiles being placed for triple word scores in the evenings, and the satisfying conversation that comes from loyal and long-time friendship. I will also take my camera, so I can share a little about our SAGs retreat in an upcoming post.